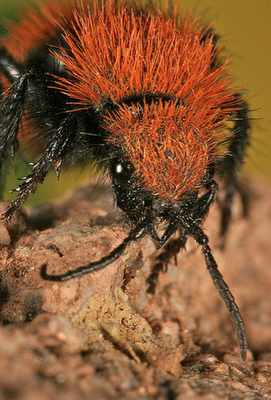 Habitat: occur worldwide, with some 5000 species, mainly in the tropics. 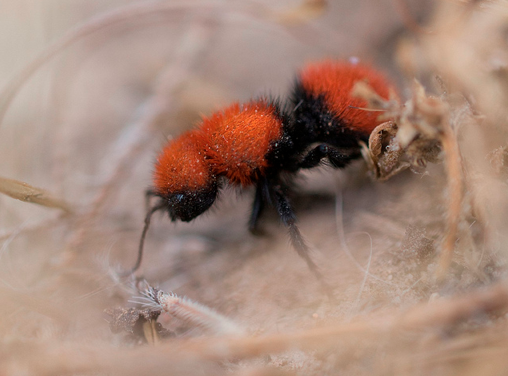 These colorful, fuzzy Red Velvet Ants (Dasymutilla aureola pacifica) aren’t really ants at all – they’re wasps! 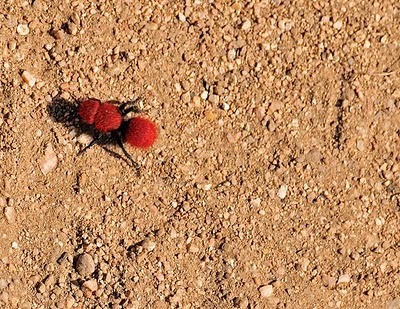 The females lack wings which makes them resemble ants… definitely had me fooled.Their name “velvet ant” does refer to the wasp’s dense hair which comes in a variety of colors, including white, blue, gold, black, silver, and red as show in this subspecies. 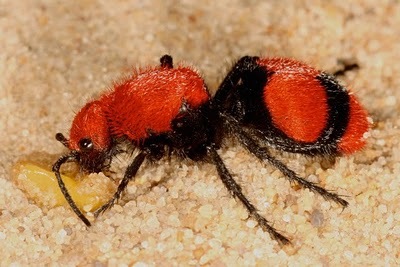 The vivid coloration serves as a warning to other animals that these wasps aren’t exactly friendly. 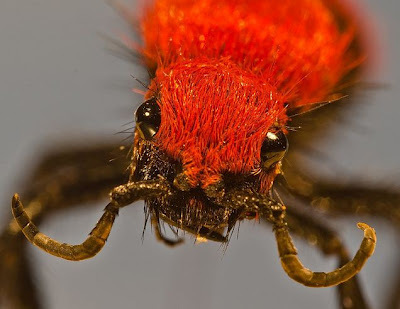 In fact, they’re also known as cow killersbecause their sting is said to be “strong enough to kill a cow,” although this isn’t actually the case… it just really hurts!The earliest-known velvet ants are specimens from the Dominican Republic preserved in amber some 25 to 40 million years ago. 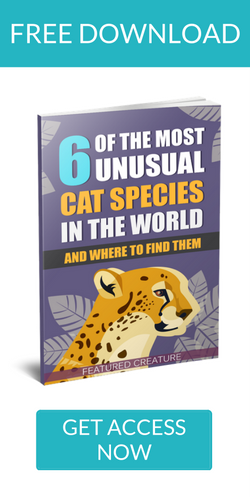 PreviousWant to See the Ugliest Bat In the World?